The M'Clure Strait is a strait on the edge of the Canadian Northwest Territories. 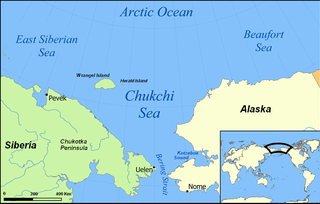 It forms the northwestern end of the Parry Channel which extends east all the way to Baffin Bay and is thus a possible route for the Northwest Passage. The strait was named for Robert McClure, an Irish Arctic explorer serving in the Royal Navy. He was the first man to traverse the North-West Passage. Bernard Moitessier was a French sailor, most notable for his participation in the 1968 Sunday Times Golden Globe Race, the first non-stop, singlehanded, round the world yacht race. With the fastest circumnavigation time towards the end of the race, Moitessier was the likely winner for the fastest voyage, but he elected to continue on to Tahiti and not return to the start line in England, rejecting the idea of the commercialization of long distance sailing. He was a French national born and raised in Vietnam, then part of French Indochina. In sailing, the great capes are three major capes of the continents in the Southern Ocean — Africa's Cape of Good Hope, Australia's Cape Leeuwin, and South America's Cape Horn. 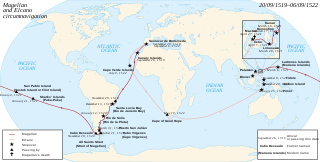 The first around the world sailing record for circumnavigation of the world was Juan Sebastián Elcano and the remaining members of Ferdinand Magellan's crew who completed their journey in 1522. The first solo record was set by Joshua Slocum in the Spray (1898). Berrimilla II is a 33 ft yacht, most famous for performing two remarkable circumnavigations and for being the 77th vessel to transit the North West Passage since Amundsen’s Gjoa in 1903–06; her transit was the 114th. She is owned and skippered by Australian yachtsman Alex Whitworth.